Brunch has become the way I do weekend lunch. For a girl with an early morning schedule, I would never survive the wait until actual brunch time to enjoy a towering plate of French toast. Instead, I eat when I rise and wait until the crowds have cleared around noon before reaching for the maple syrup. On days when I don't want to change out of my pajamas, the challenge is to whip up something equally delicious and simple in my own kitchen. This is where caramelized bananas enter the picture. After learning about bananas foster—a dessert featuring warm caramelized bananas in a rum caramel sauce poured over vanilla ice cream—I knew there had to be a way to bring this idea to brunch. I removed the ice cream and replaced it with your typical breakfast fare. Is it a little decadent? Sure. But that's why we do brunch. As a long time non-stick cookware user (a trait I inherited from my mother), I was excited, but a little skeptical, when Wolf Gourmet asked me to review its stainless steel and aluminum 10-Piece Cookware Set. Even though I associate the company with high quality, my only stainless steel cooking experience involved ruining my roommate's flimsy pan after trying (and failing) to fry an egg during my college years. After a month of use, I can say with certainty that the pans have held up beautifully. The pans do well with deglazing after frying meat and vegetables to create sauces. With a seven-ply construction, the heavy pans heated food evenly, which felt reminiscent of cast iron. However, I was even more impressed with how it did with tasks for which I would normally use non-stick cookware. In the pursuit of brunch, I made crepes. I ran a light layer of olive oil around the pan, poured in the batter, and crossed my fingers that they would not stick. The crepes did not, but even more remarkable is that I didn't have to add more oil for the remainder of the batch. The layer of oil stayed in place and the crepes came out smoothly every time. I know I can't do that with my non-stick cookware. And lastly—for the purpose of honest disclosure—after I spectacularly burned my first batch of bananas foster sauce to a charred black ash due to inattention, the pan recovered to looking brand new with a soak in warm water. The high heat of the runaway caramel did not harm the pan. However, I did notice the bottom of one pan had minor discoloration after a few weeks, but it was nothing a little baking soda scrub couldn't cure. Ultimately, high quality makes all the difference with stainless steel cookware. After my own personal use, I would recommend Wolf Gourmet. I would like to offer one Pastry Affair reader the opportunity to try the 10-inch skillet out in your own kitchen. Bananas Foster is a warm sauce to be poured over sweet dishes and desserts. Bananas are caramelized with brown sugar and butter. With the warmth of cinnamon and the spice of rum, the sauce is elevated to another level. Though the traditional dessert featured the sauce poured over vanilla ice cream, the sauce is as lovely served over waffles, French toast (made with challah), or crepes. In a heavy skillet, melt the brown sugar and butter over medium heat. Add the cinnamon and salt. Stir and bring sauce to a simmer. Add banana slices and cook, turning once, until soft, about 2-3 minutes per side. Gently stir in the the rum; take care not to break apart the banana slices. To flambé, use a long lighter to ignite the vapor above the sauce. Let the flames burn until they go out on their own, about 30 seconds. However, the sauce can be served without flame and does not need to be flambéd if you are uncomfortable with the process. Serve immediately over vanilla ice cream, French toast, or waffles. Disclosure: A complimentary 10-Piece Cookware Set was provided for review by Wolf Gourmet. As always, all thoughts and opinions are my own. 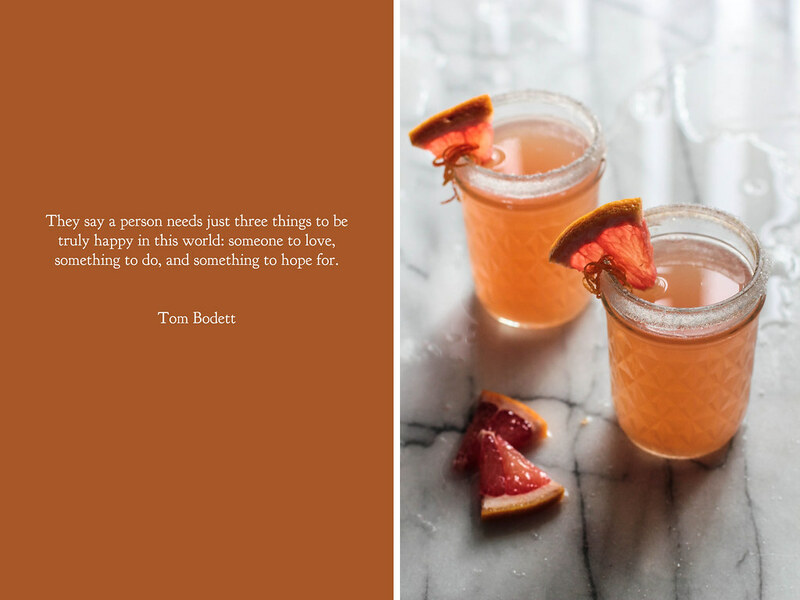 Creating and enjoying these cocktails was one of the few moments I spent all to myself these last few weeks. 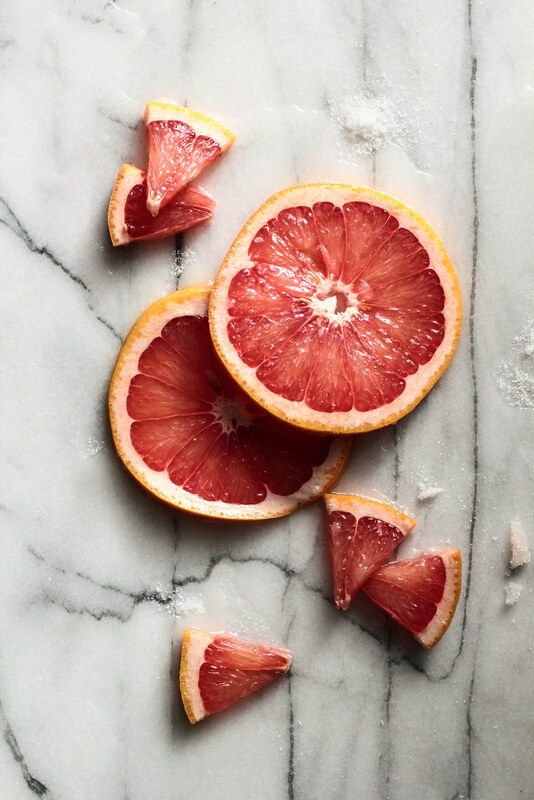 After collecting a stash of grapefruits from the store, I weighed back and forth on how to use them, wanting to find a recipe for them to shine. When a cloudy Sunday afternoon arrived, I started to piece the picture together. 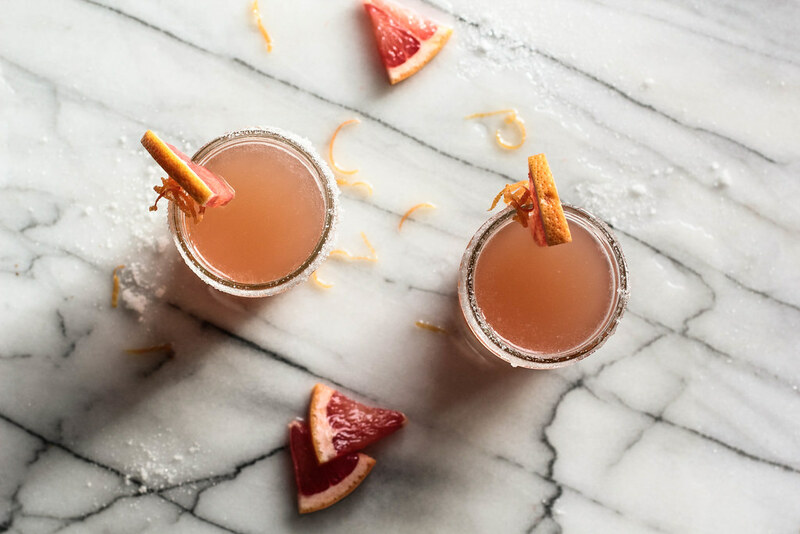 This cocktail was born, reminiscent of winter, with citrus tones and a kick to match the winter wind. The ruby color, however, is what keeps me coming back. 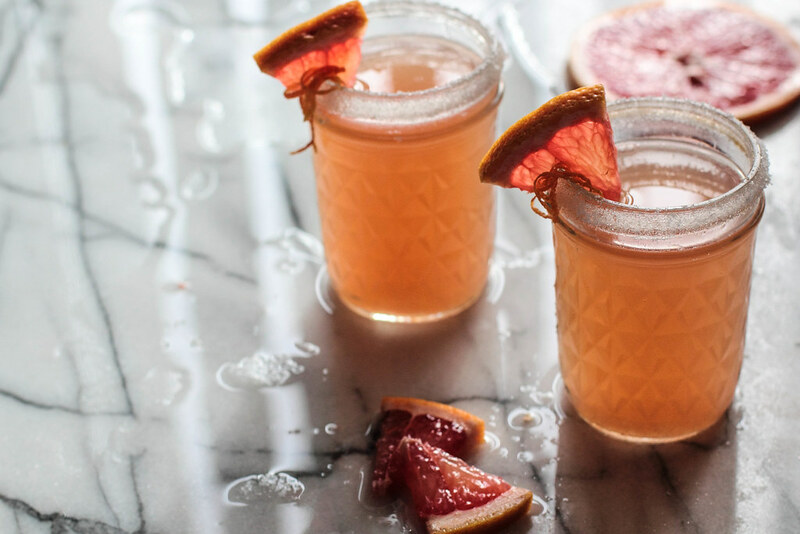 Grapefruit Rum Cocktails are a fruity winter drink to enjoy when the weather is cold. 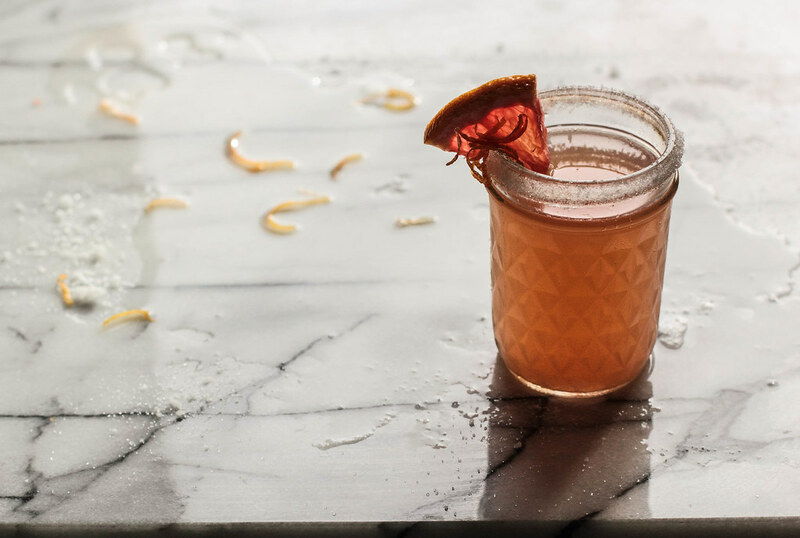 A pink grapefruit is juiced, which is mixed with ginger ale for sweetness, rum for boldness, and triple sec to round out the citrus flavor. The cocktail comes together quickly, making it a good choice when 5 o'clock on Friday hits. I used to be the girl who preferred the shadows. I drew comfort from the anonymity, from the lack of attention, from the invisibility cloak I chose to wear around my shoulders. I shied away from conversations, preferring to observe rather than participate. While I often wished I could be the boisterous and reactive one in the room, it was enough for me to simply watch them. As an observer in the shadows, I learned of the nature of those around me. I pinpointed those who filled the lulls in conversation, afraid of the silence, afraid to be left with the sound of their thoughts. I identified with those who were quiet just as myself, knowing their minds were buzzing with unsaid thoughts and opinions. Then one day I stepped out into the light. It is hard to say when or why it happened. I certainly did not anticipate it coming. While debating dinner plans with friends, I noticed a quiet girl nearby listening, wearing the cloak of shadows I knew so well. I had seen her before, here and there, as we went about our days. This time, however, I felt an unfamiliar pull to talk to her, to invite her to join our dinner plans. And so I did. And so did she. I may never be the boisterous one in the room, but I am no longer afraid to expand my comfort zone to include new people and situations. While I still retreat to the shadows now and then, I find the light brings a certain warmth. 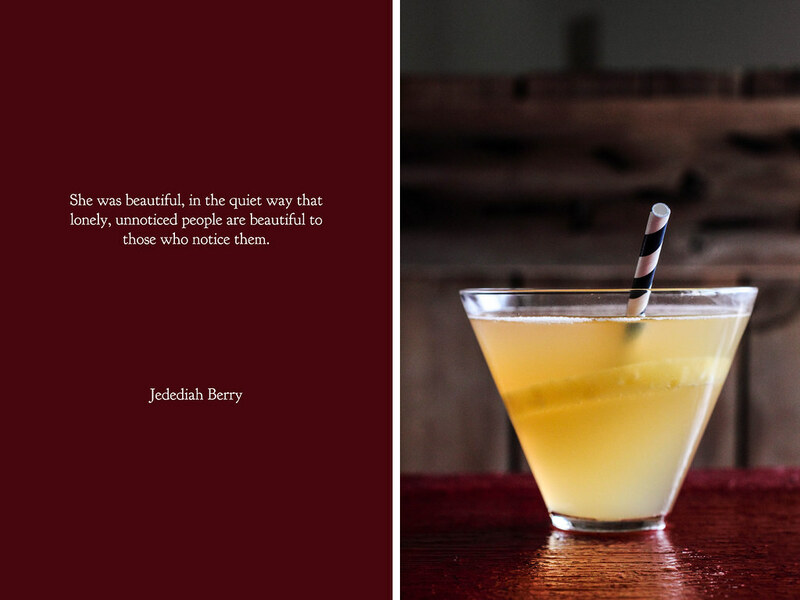 In some ways, this cocktail reminds me of an unnoticed person, hiding in the shadows. It is not flashy or showy. It does not sparkle in the light like a glass of white wine or feature hundreds of fizzing bubbles like a flute of champagne. It does not have layers like a rainbow or feature bright, bold colors. It is a simple drink. A subtle drink. Pale yellow and opaque, it may not seem like much to the unaided eye. To give it a hard look, to take a sip, opens your eyes to something you may not have considered before. You may even find it beautiful. 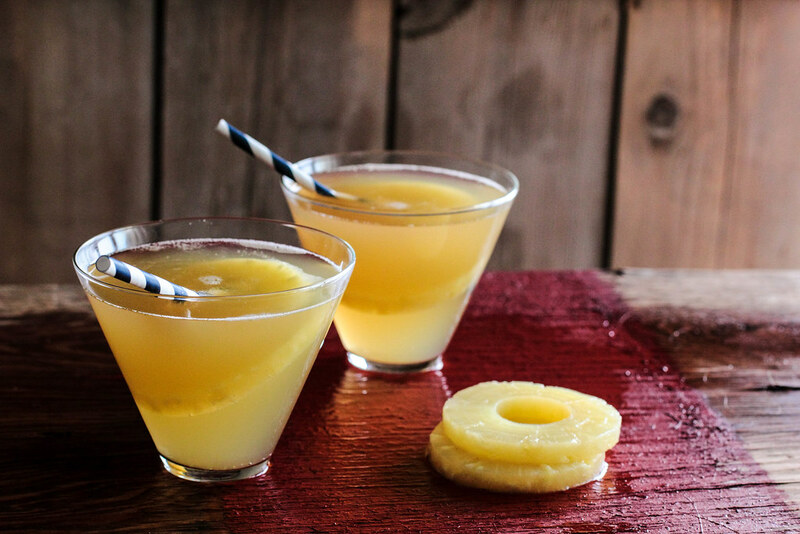 Sparkling Pineapple Rum Cocktail is a balanced, fizzy cocktail. 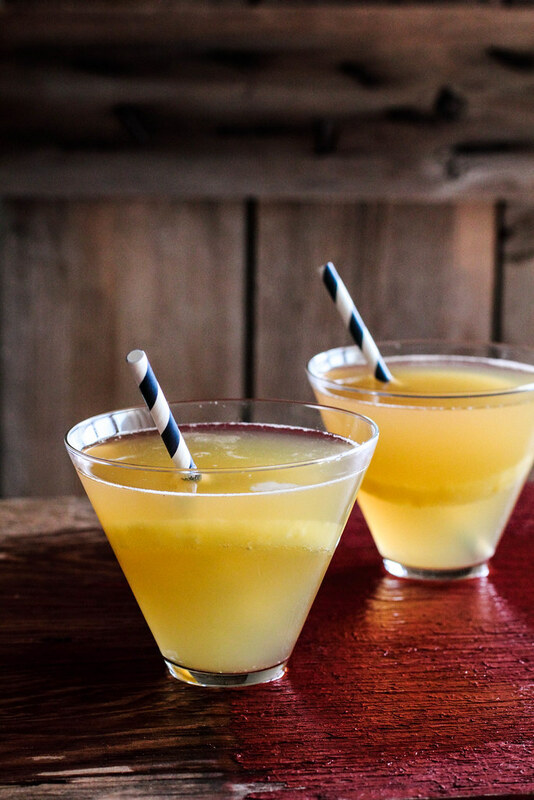 Pineapple juice and ginger ale come together, effortlessly mixing together the sweetness of the soda and the tartness of the juice. 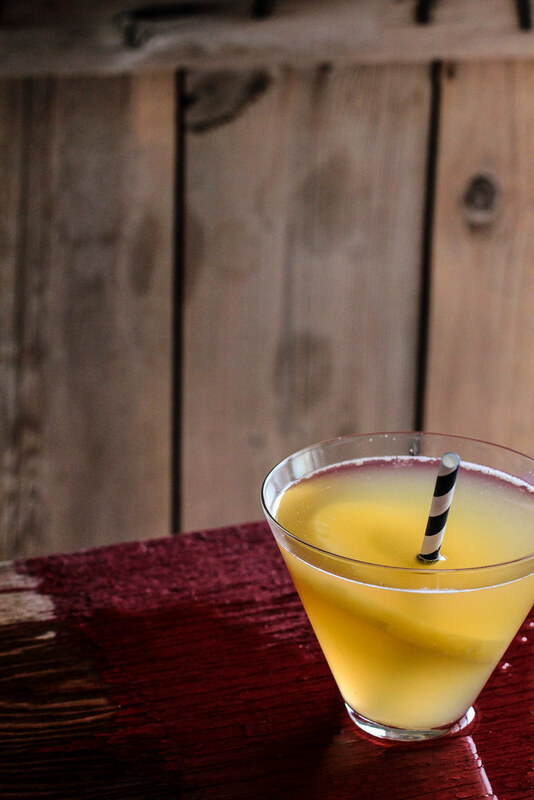 With a shot (or two) of dark rum thrown in the mix, the cocktail can hold its ground. When I had my first sip, I was pleasantly surprised. The bright flavor drew me in and it truly felt like something special.